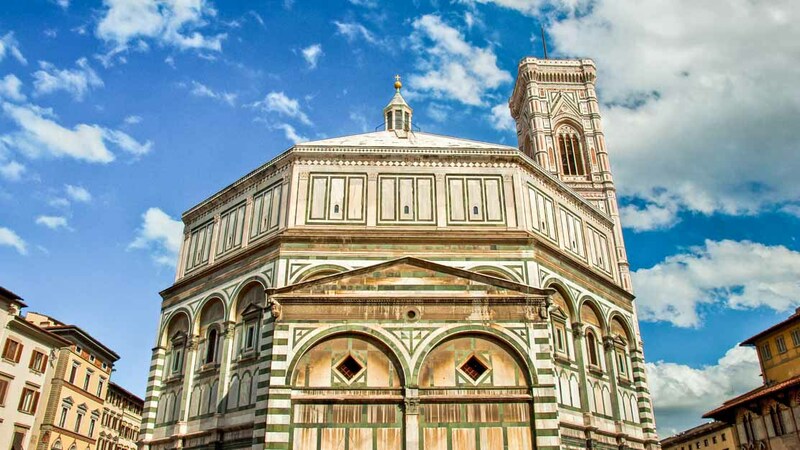 Florence is the soul of Tuscany, and it brims with the influences of the Renaissance. You'll discover a myriad of architectural wonders and a profusion of exquisite artwork, all of which culminate into one cultural masterpiece of a city. 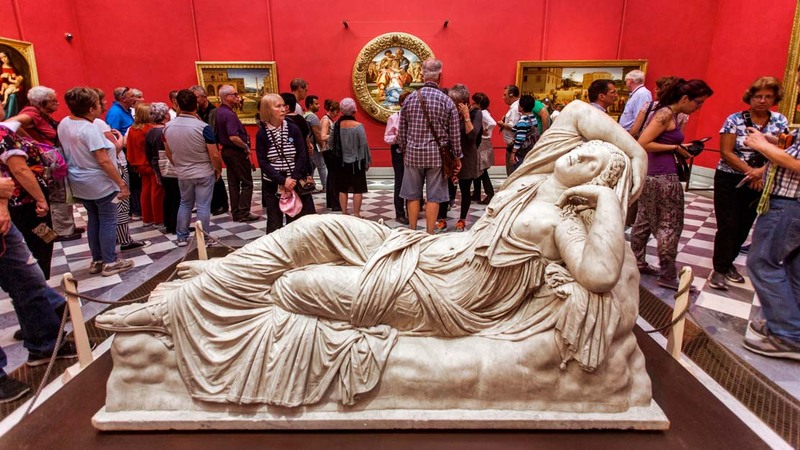 The Uffizi Gallery is the city's top museum, and the place to see Botticelli's stunning "Birth of Venus." It's also wise to book your entrance ticket in advance to avoid waiting in a long line. Michaelangelo's "David" stands in the center of the Tribune and rightfully so. 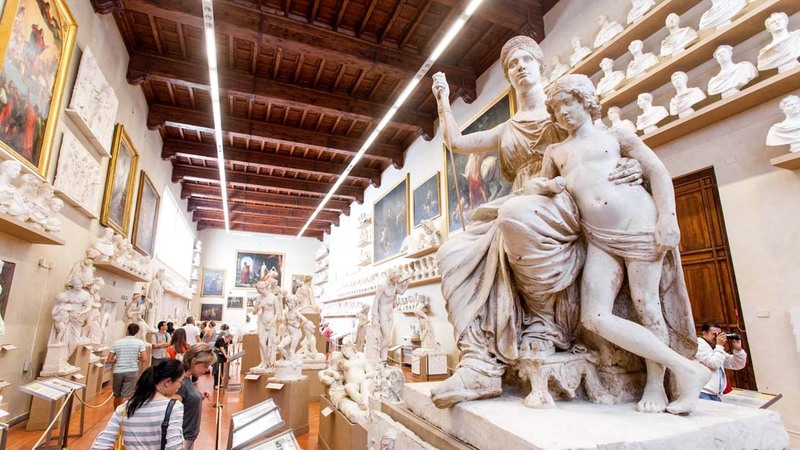 Classical music lovers will also enjoy the exhibit at the Accademia Gallery's Museum of Musical Instruments. 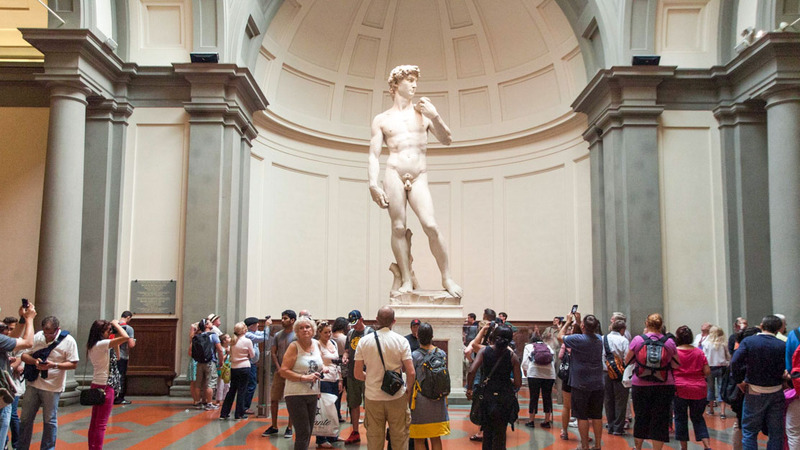 It's Florence's, if not the world's, most famous statue, and people have been admiring "David's" chiseled physique since its unveiling in 1504. A replica of "David" at the entrance of the Palazzo Vecchio indicates his original position here until 1873. The renowned Hall of Five Hundred is a part of the building's museum section. Piazza della Signoria has plenty of statuary, with the gallery of the Loggia dei Lanzi, the equestrian statue of Cosimo I and the Fountain of Neptune, who slightly resembles Cosimo. 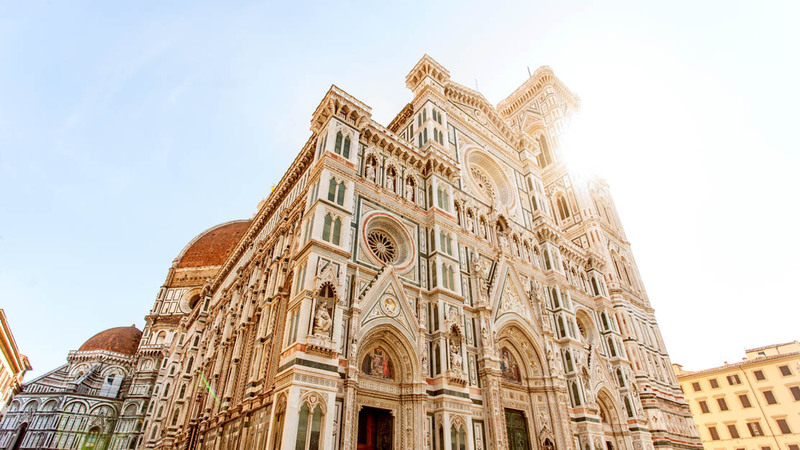 Known as il Duomo, the view from the Gothic cathedral's iconic, red-brick dome offers a sweeping panorama over waves of the city's terracotta rooftops amid rolling, Tuscan hills. Dedicated to the city's patron saint, John the Baptist, Florence Baptistry in white and green Prato marble boasts an inner dome with lavish, golden mosaics. 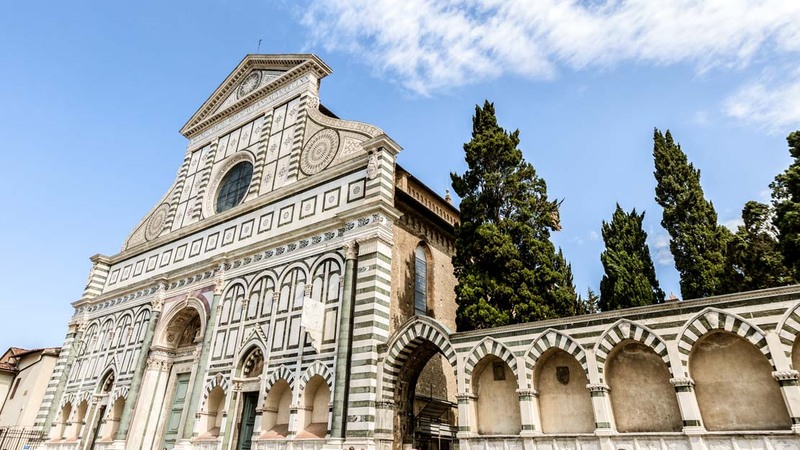 It may appear ordinary from the outside, but it's the grandeur within that makes the Church of Santa Maria Novella well worth the visit. Its cloister also provides some moments of serenity. Pastel-colored apartments upon shops selling art, jewelry, and souvenirs line the city's oldest and most unique bridge Ponte Vecchio over the Arno River. It's picture-perfect day and night. 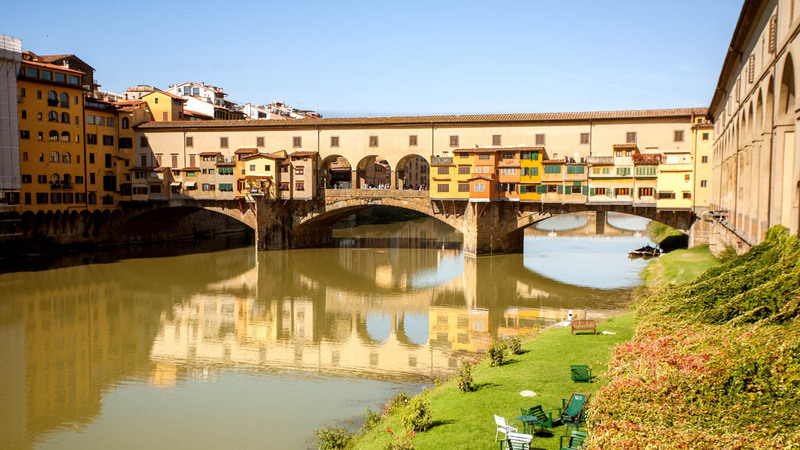 Stroll across the Ponte Vecchio to the former Medici family residence. 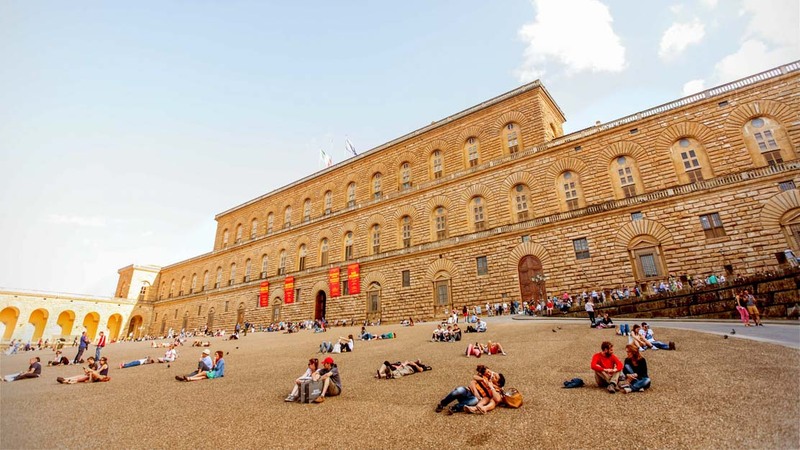 The Pitti Palace houses five museums, such as the Museum of Modern Art and the opulent Palatine Gallery. 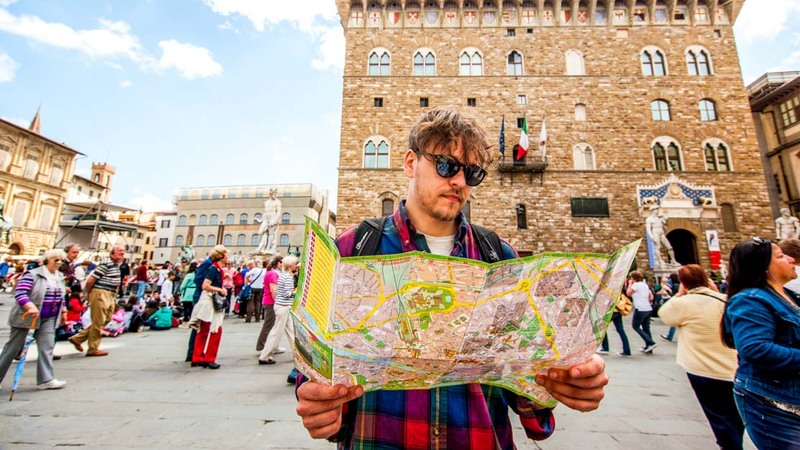 How long should you stay in Florence? A minimum of four nights will allow you to see the top sites without rushing from one to another. Give yourself a week or more for a full Renaissance immersion. The heart of Florence is compact, and you can easily explore all that the city has to offer by foot. The historical center is a UNESCO Heritage Site, and traffic is restricted from entering. If you're planning to rent a car for a trip around Tuscany, you'll have to park outside the "Limited Traffic Zone." Consider 15 euros extra per day for a parking garage space, since free parking is a rarity. Keep in mind the entrance fees for the all the top sights, including the majority of churches. Although it's free to enter the Florence Cathedral, you'll have to buy a ticket to go up the dome for the breathtaking views. Restaurants in Italy also add a service fee called "pane e coperto" (literally "bread and cover"). It's an extra few euros charged per person seated at the table, but it's not a tip for your server. By October, the weather is still warm, but the tourist rush is winding down. 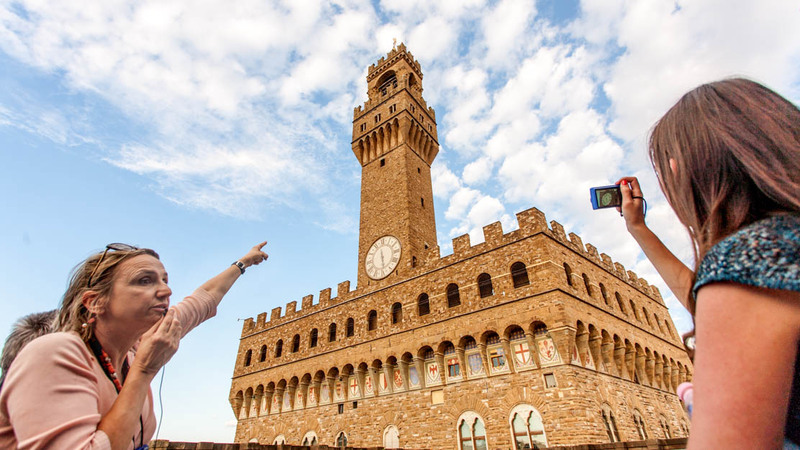 Want to discover all there is to do in Florence? Click here for a full list.